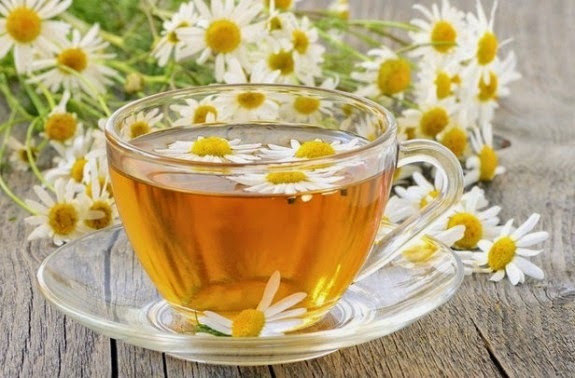 Chamomile is for centuries considered as one of the most important herbs in traditional medicine, because of its extraordinary medicinal ingredients. Chamomile blooms in April and May and is harvested 20 days after blooming in dry and clear weather. Chamomile should be collected before the white blossoms begin to fall because it is no longer high in quality. The best healing power has when there is 0.3 to 1.5 percent of essential oil and is used as the basic ingredient for making various preparations. The plant primarily acts anti-inflammatory, helps with joint inflammation, fever, and the redness of the skin caused by ultraviolet radiation. It has many medicinal ingredients like matricin, chamazulene, bisabolol, and the most powerful anti-inflammatory agent, a corticosteroid prednisolone. Its antimicrobial effect has been proven, while some microorganisms are resistant, even to the pure essential oil, others are sensitive to a very low concentration. Chamomile extract has moderate bacteriostatic effect on certain staphylococci, bacilli, as well as intestinal Escherichia coli. To achieve the best effect, in the preparations are placed higher concentrations of certain compounds, which is very important in the treatment of candida and dermatophytes which most commonly cause mycosis of the skin, nails and mucous membranes. Cup of tea acts as a mild sedative while the essential oil and other ingredients are widely used in the preparation of many medicines and medical cosmetics. Teas, baths, tinctures, gels and creams are often recommended as a complementary therapy. It is noticed that it has a positive effect on the stomach and digestive system. The compresses of chamomile accelerate wound healing, scrapes, burns and infections of the skin and mucous membranes. Compresses can be hot or cold used to rinse the infected area. Dip the multilayered gauze into the tea made from this plant and place on the infected spot. Change the gauze in every 15 minutes. In this way wounds are cleaned and it relieves inflammation and itching. Tea successfully dissolves bronchial secretions and eases coughing, acts positively on the nervous system and is recommended for insomnia. Drugs from the group of mucolytics are auxiliary medicinal remedies, based on the ingredients of chamomile. Since the beginning of the time, humans are using variety of herbs which they have used to improve their health and treat various diseases, wounds and bruises. Through technological and medical evolution, herbal remedies were replaced by synthetic medicines. Natural remedies that you will find on this web-site might cure you and help you to ease the pain, boost your immune system or you may use them as a prevention. It is always the best choice to use them in addition to the therapy that your doctor prescribed. They may help you but for sure they will not harm you. All sorts of onions are very healthy, therefore it is necessary to include them in our daily diet. All types of this vegetable, such as leek, onion and garlic, helps to prevent osteoarthritis. This is a degenerative disease that causes changes in the joints. Leek is particularly useful for the prevention of coxarthrosis disease, degenerative arthritis of hip.